Most homeowners know that daily mopping and tile cleaners are usual cleaning processes that are not ideally efficient especially if you are trying to remove stubborn specs of dirt that have already settled permanently on hard-to-reach surfaces. With that being said, you have to hire thorough cleaning treatment services from professional cleaners. Carpet and Tile are particularly difficult to clean especially if you are not equipped with enough knowledge on how to get started with the cleaning process. If you are dealing with tile and carpet cleaning, there is no need to worry because expert carpet and tile cleaning service is now here to help you regarding your problem. With reputed cleaning services provider, you will likely never have to invest in buying steam cleaning system or waste your time in removing the dirt. With our professional cleaning service, you can expect fast solution so you will not wait for more time to get your problem solved. Professional carpet steam cleaning sydney is very essential to your home not only because it is one way to preserve and protect your living space but it also one big help to help you maintain clean and healthy environment. To successfully achieve this aim, Carpet and Tile sydney cleaning service is the best solution. Our certified and trained specialist and fully insured technicians take pride to make your home clean to the best that we can with thorough and complete cleaning methods ensuring a healthier and safer surface for your family. 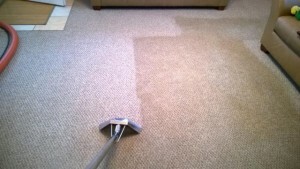 Carpet cleaning process. Before our professional technicians start the cleaning process, we will first perform an inspection or per-test in order for them also to determine the type of carpet and tile used in your home. This is to make sure that complete process is perfectly done. Also, we use encapsulation techniques, latest dry cleaning and hot water extraction to ensure the best possible outcome in cleaning. Your home is in good hands with us. Leather Cleaning & Conditioning. Like with properly maintenance of your AC appliances, your carpet also requires regular maintenance to ensure that it is looking perfect and shining every day. With our trusted service, you can make sure that your carpet is being protected against fading, cracking and drying. Upholstery cleaning. Also, your car interiors, office chairs, dining chairs and lounge needs regular maintenance to keep them at their best at all times. No need to worry because we can also help you take care of your things against damages. 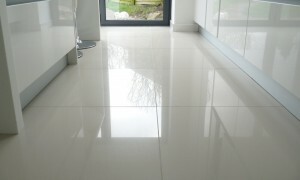 Tile & Grout Cleaning. To keep your tiles and grout clean, we can also provide you an additional inspection to ensure that they are in good condition all the time. Also, with our professional cleaners, you can make sure that the entire cleaning process is truly perfect in order to make your home a clean and safe place to stay in. Carpet and tiles are beautiful addition to your home, but keeping it always clean can be sometimes difficult. If you cannot do the cleaning process yourself, Carpet and Tiles service can do the task for you. Give us a call now! This entry was posted in Article, Blog, Carpet Cleaning, Tile & Grout Cleaning and tagged Carpet and Tile Services, carpet cleaning, carpet cleaning service, carpet steam service, tile cleaning service. Bookmark the permalink.